In Red Hat CloudForms, a cloud provider is a cloud computing environment that you can add to a Red Hat CloudForms appliance to manage and interact with the resources in that environment. This chapter describes the different types of cloud providers that you can add to Red Hat CloudForms, and how to manage them. You can set whether Red Hat CloudForms should use the Telemetry service or Advanced Message Queueing Protocol (AMQP) for event monitoring. If you choose Telemetry, you should first configure the ceilometer service on the overcloud to store events. See Section 3.1.1.1, “Configuring the Overcloud to Store Events” for instructions. The hostname required here is also the OS_AUTH_URL value in the ~/overcloudrc file generated by the director (see Accessing the Overcloud in Red Hat OpenStack Platform Director Installation and Usage or the ~/keystonerc_admin file generated by Packstack (see Evaluating OpenStack: Single-Node Deployment). To use the Telemetry service of the OpenStack provider, select Ceilometer. Before you do so, the provider must first be configured accordingly. 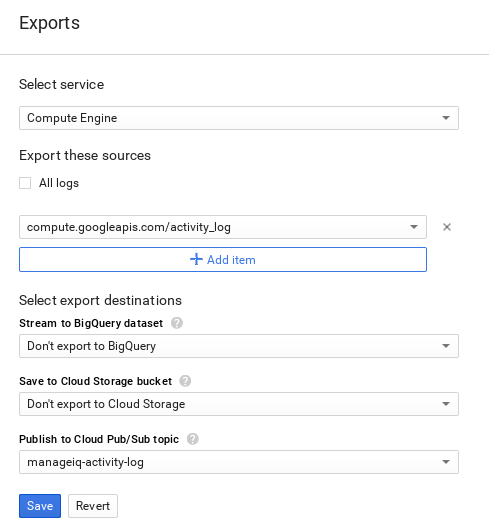 See Section 3.1.1.1, “Configuring the Overcloud to Store Events” for details. To collect inventory and metrics from an OpenStack environment, the Red Hat CloudForms appliance requires that the adminURL endpoint for the OpenStack environment should be on a non-private network. Hence, the OpenStack adminURL endpoint should be assigned an IP address other than 192.168.x.x. Additionally, all the Keystone endpoints must be accessible, otherwise refresh will fail. In the Credentials section, enter the Client ID, Client Key, and Azure Tenant ID. Red Hat recommends using Amazon EC2’s Power User Identity and Access Management (IAM) policy when adding Amazon EC2 as a cloud provider in CloudForms. This policy allows those in the Power User group full access to AWS services except for user administration, meaning a CloudForms API user can access all of the API functionality, but cannot access or change user permissions. Navigate to Settings → Settings → Configuration → Zone → Advanced. You can generate a private JSON key for your project in IAM & Admin → Service Accounts in Google Compute Platform. This key is used to authenticate against your provider. For additional information, see the Google Compute Platform documentation at https://cloud.google.com/storage/docs/authentication.